Allgeier Air provides design, installation, and repair services for all types of heating and air conditioning systems. We specialize in geothermal heating and cooling systems, and are the original geothermal professionals of Louisville. Our Service Department hosts over 70 years of expertise in air conditioners, furnaces, geothermal, indoor air quality and any other home comfort needs. 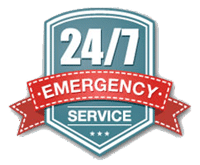 Our HVAC service and repair contractors are available to you 24 hours a day and “priority” service calls are available. Your comfort and safety are our TOP priority. Gas furnaces, air conditioners, heat pumps, geothermal heating systems, and duct design are just a few of the things our comfort designers can help you with. We also advise and engineer new construction design projects. Call to request a service appointment today! In today’s business world, we seem to pay more and get less. I just wanted you to know that everybody I have ever dealt with at your company has been extremely professional and has met their every commitment. You should be proud of your company and the people who represent you. 24/7 Emergency Repair Service Available! As a locally owned and operated HVAC Company, we know the importance of keeping your furnace or heater in tip top shape! Our Certified technicians are at the ready for all your heating needs. We service all makes and models of air conditioning units. Keep your system running at it’s peak performance with our a/c services and regular maintenance.